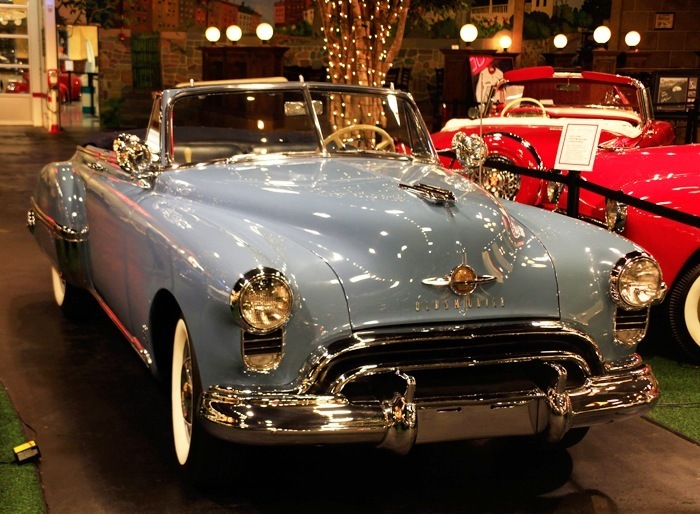 Oldsmobile introduced the 88 badge in 1949. It was named to complement the already-existing 76 and 98. 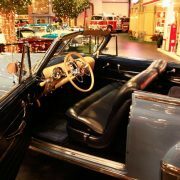 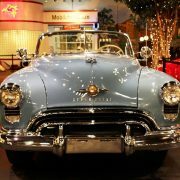 The new car used the six-cylinder 76’s new Futuramic B-body platform with a powerful new Rocket V8 engine. 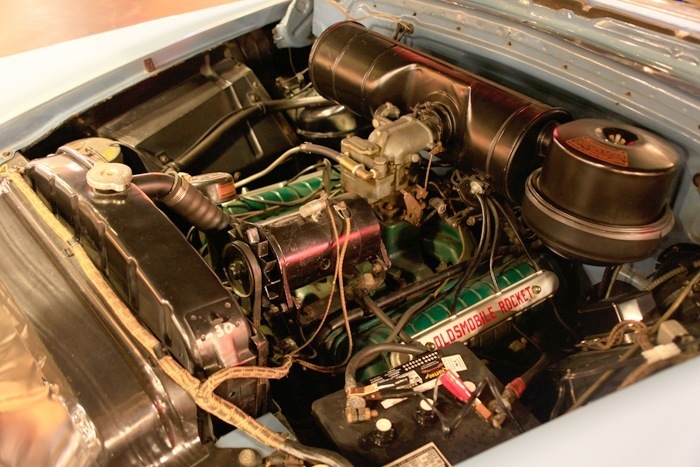 This combination of a relatively small light body and large, powerful engine made it a precursor to the muscle car. 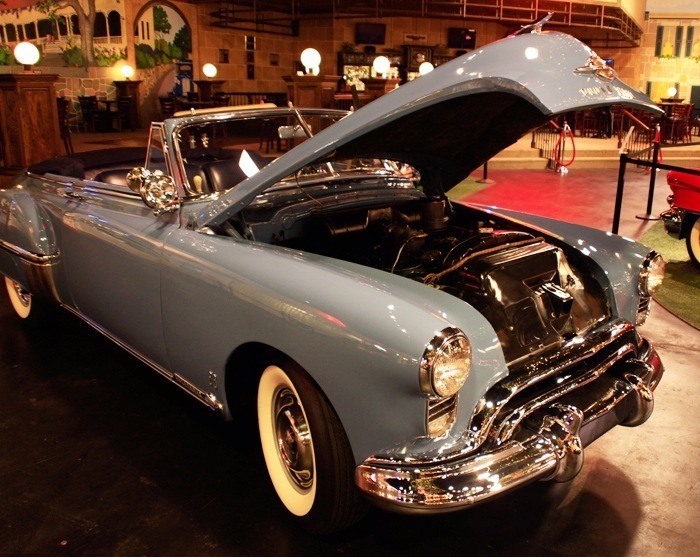 The Rocket 88 vaulted Oldsmobile from a somewhat staid, conservative car to a performer that became the one to beat on the NASCAR (National Association for Stock Car Auto Racing) circuits. 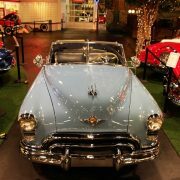 It won six of the nine NASCAR late-model division races in 1949, 10 of 19 in 1950, 20 of 41 in 1952, and was eventually eclipsed by the low-slung, powerful Hudson Hornet, but it was still the first real “King of NASCAR.” This led to increased sales to the public. 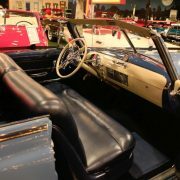 There was a pent up demand for new cars in the fast-expanding post World War II economy, and the 88 appealed to many ex-military personnel who were young and had operated powerful military equipment. 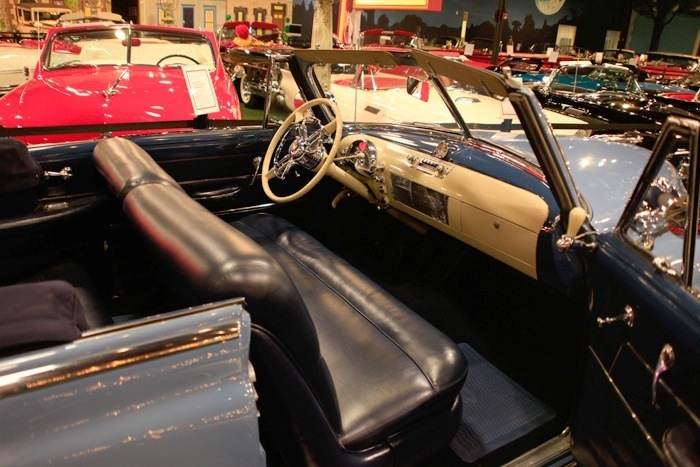 The 88 enjoyed a great success, inspiring a popular 1950s slogan, “Make a Date with a Rocket 88”, and also a song, “Rocket 88”, often considered the first rock and roll record. 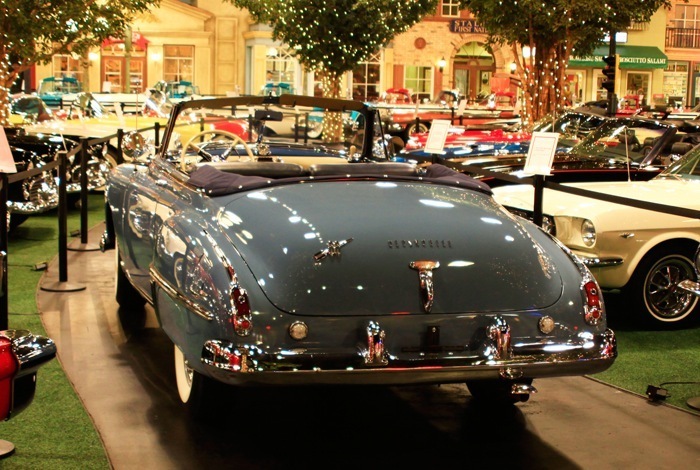 Starting with the trunk-lid emblem of the 1950 model, Oldsmobile would adopt the rocket as its logo, and the 88 name would remain in the Olds lineup until the late 1990s, almost until the end of Oldsmobile itself. 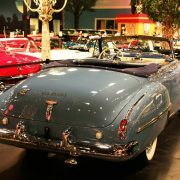 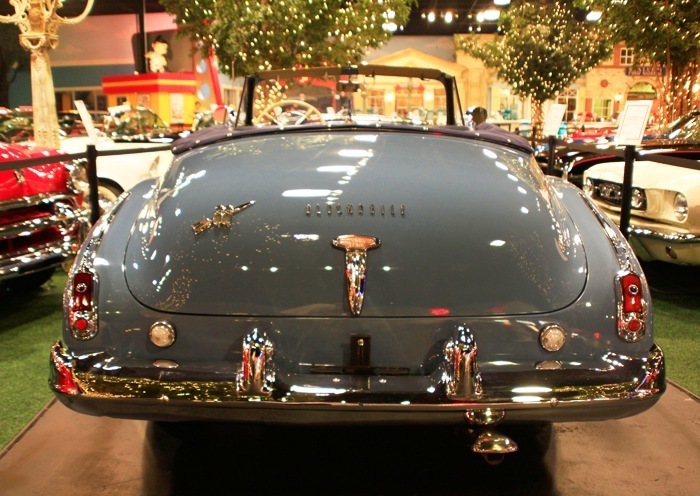 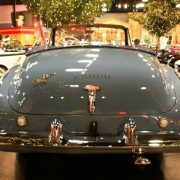 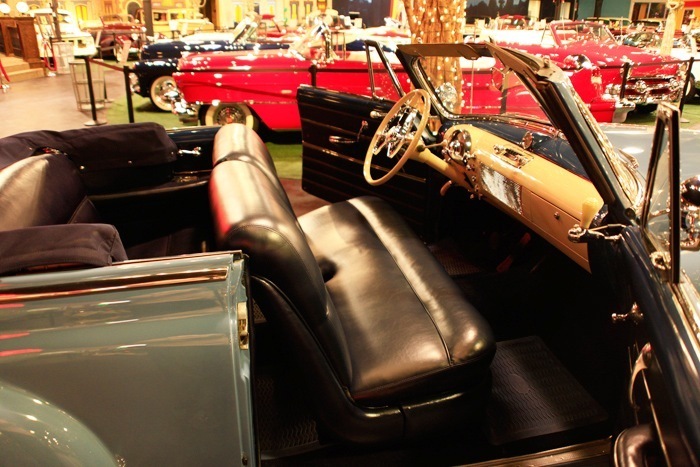 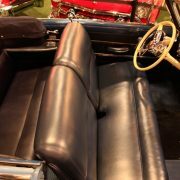 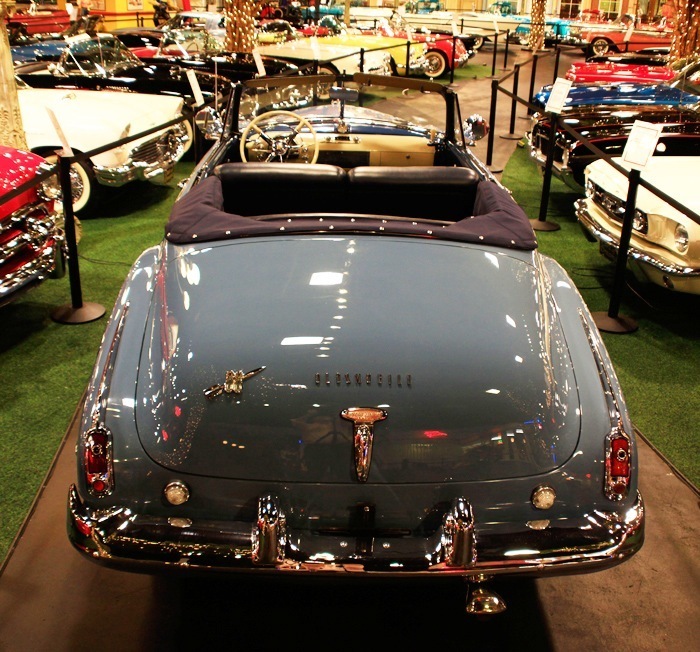 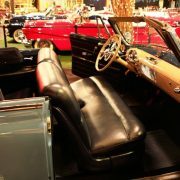 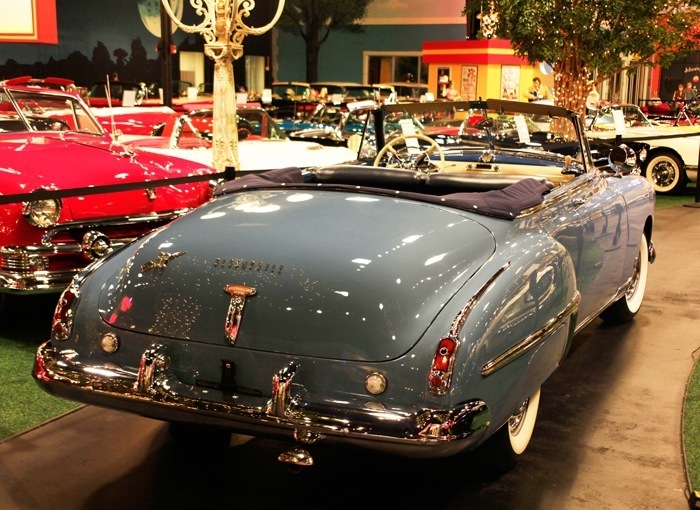 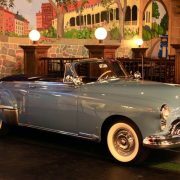 Styling changes for the 1950 model include the replacement of a two-piece windshield with a one-piece unit and the addition of the Holiday hardtop coupe to the line. 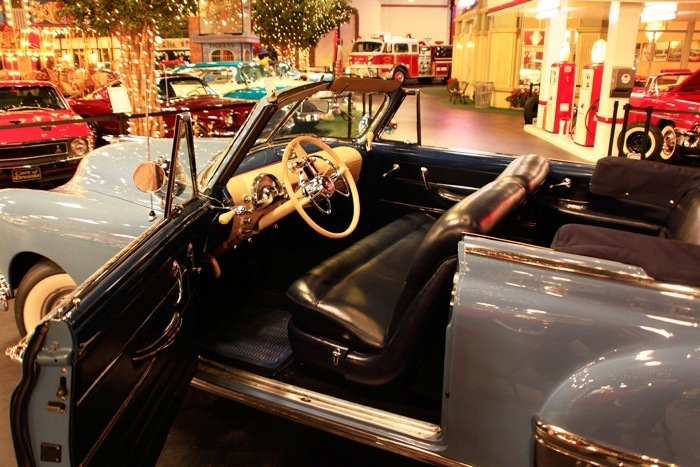 Also a three-speed manual transmission with column shift became available as a “delete for credit” option to the Hydra-Matic automatic transmission. 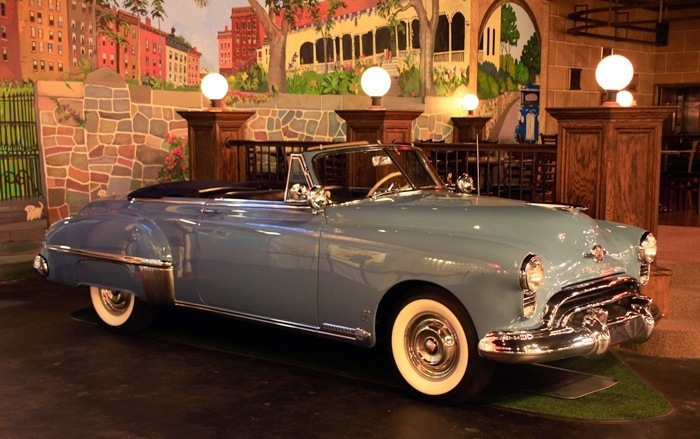 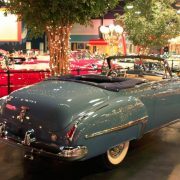 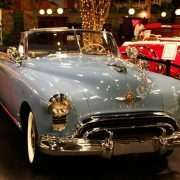 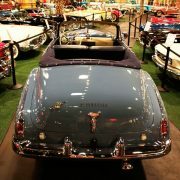 The 88 now outsold the six-cylinder 76 lineup, which was dropped entirely after the 1950 model year. 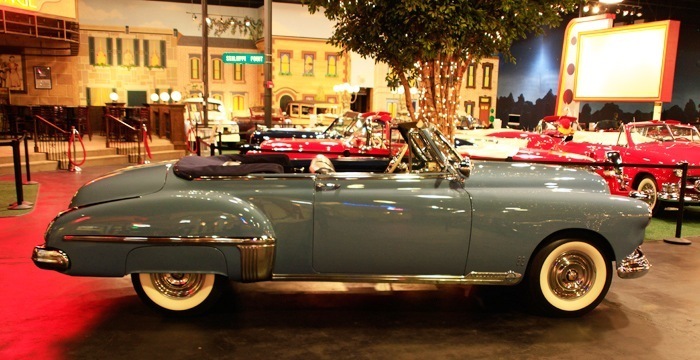 It had a 40 ft. turning circle. 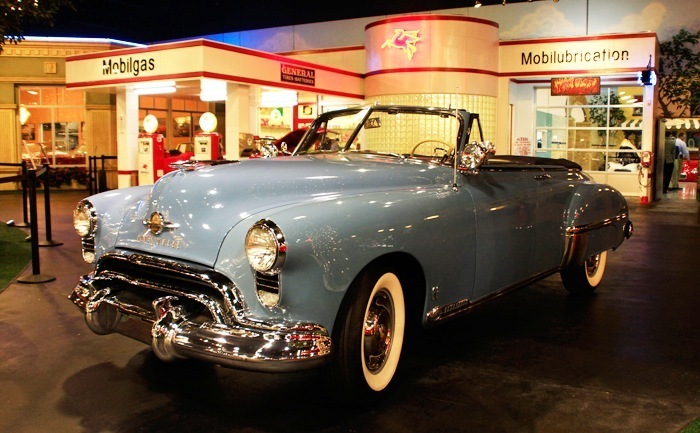 For 1951, the 88 was now the entry-level Olds with the discontinuation of the six-cylinder 76 line, which meant that all Oldsmobiles were powered by Rocket V8s. 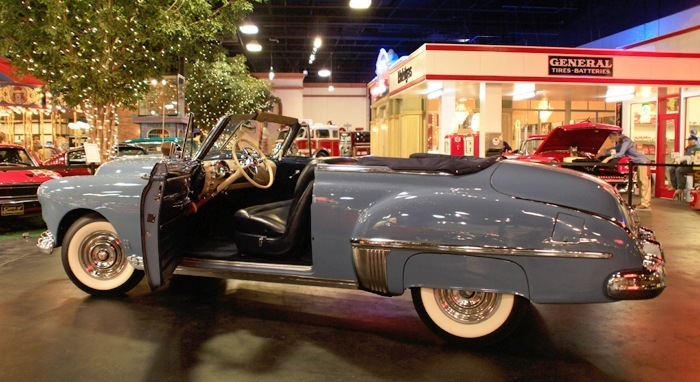 New this year was the more upscale Super 88 line on the new GM B-body which included restyled rear body panels, a more luxurious interior, and a slightly longer 120-inch (3,000 mm) wheelbase as opposed to the 119.5-inch (3,040 mm) wheelbase which had been standard since the 88’s introduction. 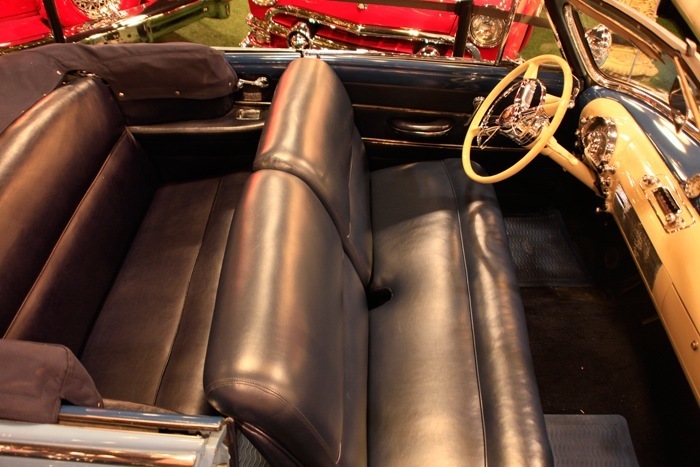 The station wagon was discontinued and would not reappear until the 1957 model year. 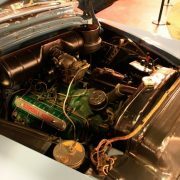 In 1952, the base 88 shared the Super 88s rear bodypanels and wheelbase, and got a 145 horsepower (108 kW) 303 cu in (5.0 L) Rocket V8 with two-barrel carburetor while Super 88s got a more powerful 160 hp (119 kW) 303 with a new four-barrel carburetor. 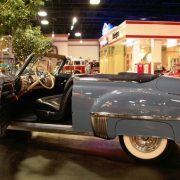 Other mechanical features were unchanged with styling changes amounting to new grilles, taillights, and interior revisions.For 1953, the base 88 was renamed the DeLuxe 88 for only this one year while the Super 88 continued as a more upscale version. 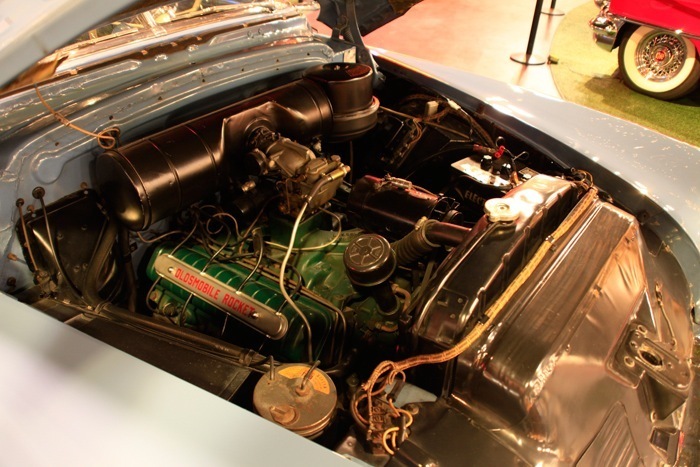 Engines and transmission offerings were the same as 1952. 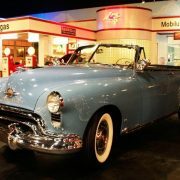 Late in the 1953 model year, a fire destroyed GM’s Hydra-Matic plant in Livonia, Michigan, which was then the only source for Hydra-Matic transmissions. 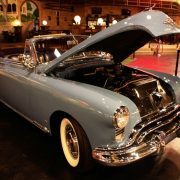 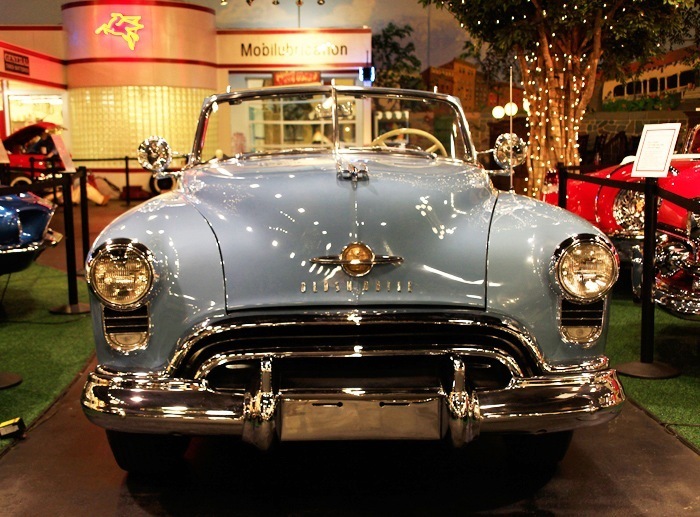 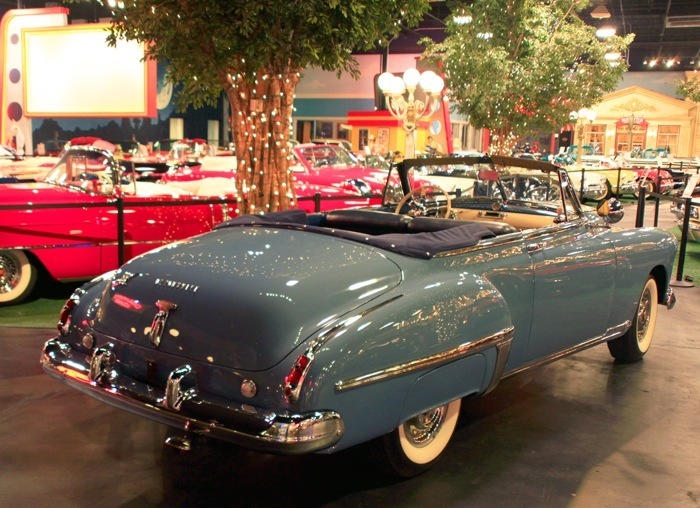 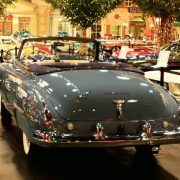 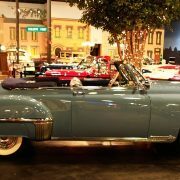 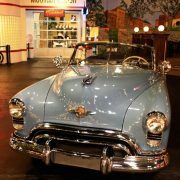 The temporary loss of Hydra-Matic production led Oldsmobile to build thousands of its 1953 models with Buick’s two-speed Dynaflow automatic transmissions until GM pressed its Willow Run Transmission plant into service to resume Hydra-Matic production. 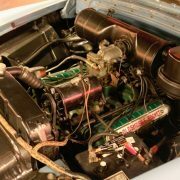 New options this year included Frigidaire air conditioning, power steering, and power brakes.